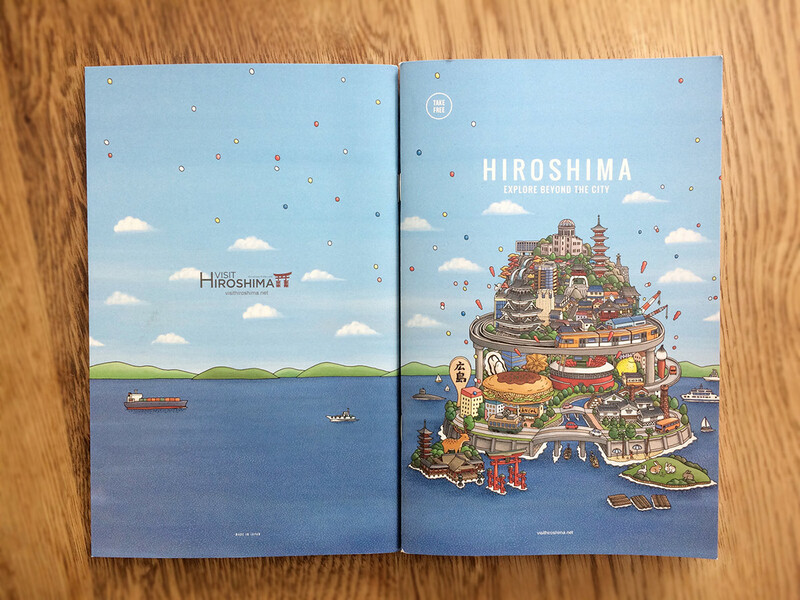 NAVITIME x HIROSHIMA English guidebook for foreign tourists. We did cover illustration and inside. We imaged a miniature garden. 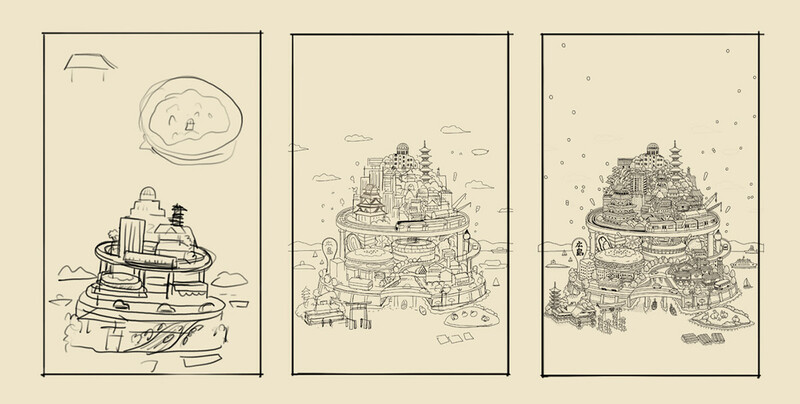 Like a "Tin-Litho Wind Up, Toy Train". So We made a island Include All features of the Prefecture. 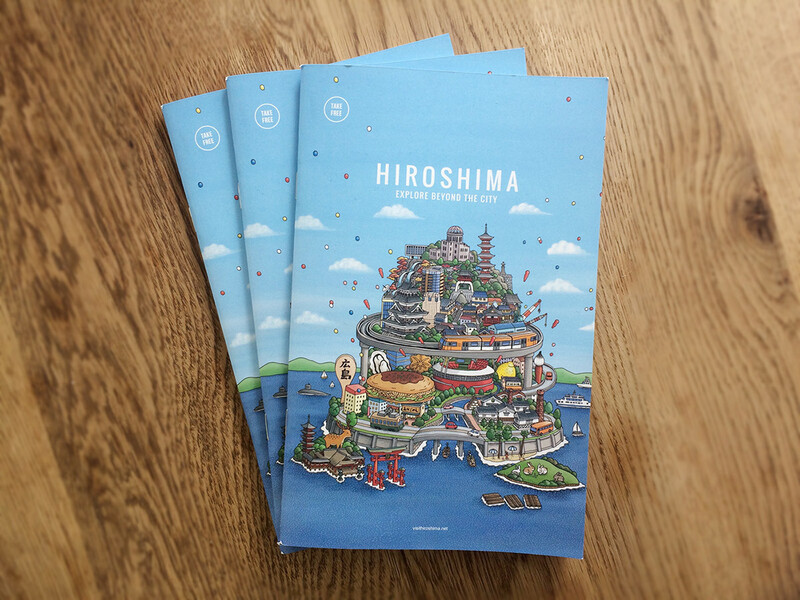 Cover : We made Hiroshima island. Inside : How to access. 4 recommend 1 day trip. 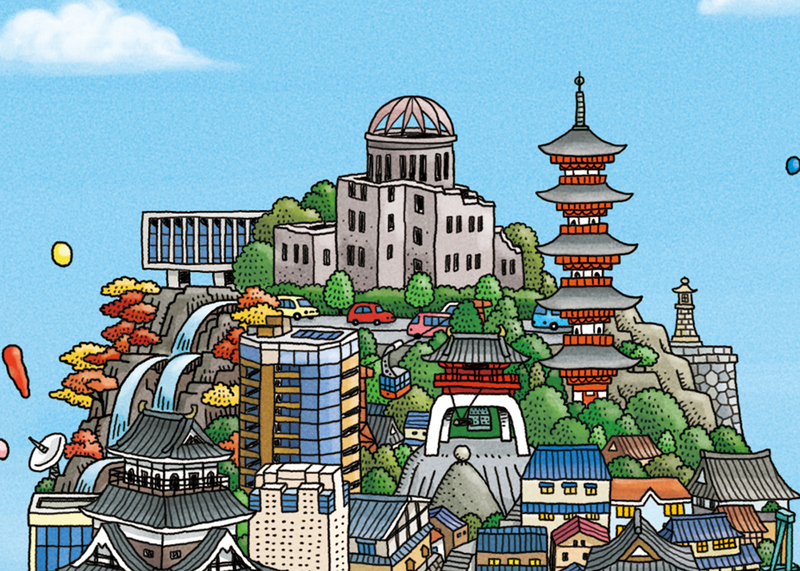 Cover : Sightseeing spots ; Atomic bomb dome, Peace Park, Orizuru Tower, etc. 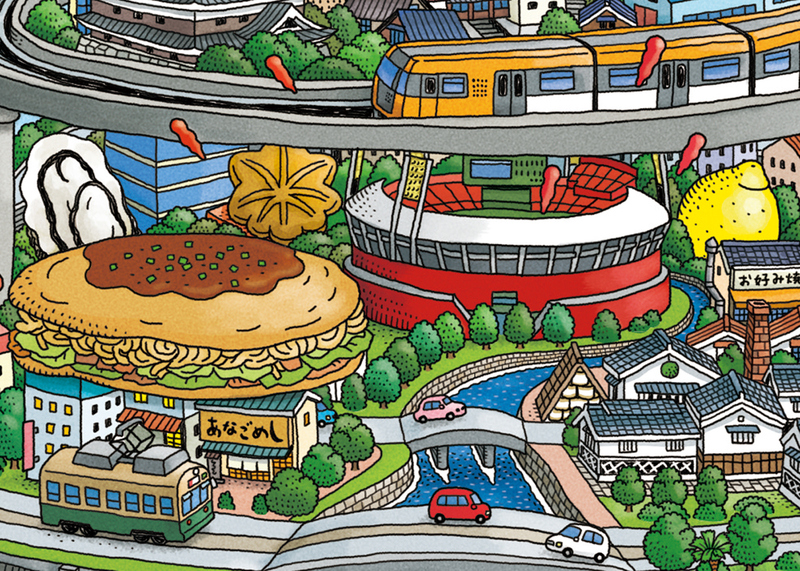 Cover : Famous disies ; Okonomiyaki, Sake, Lemon, etc. 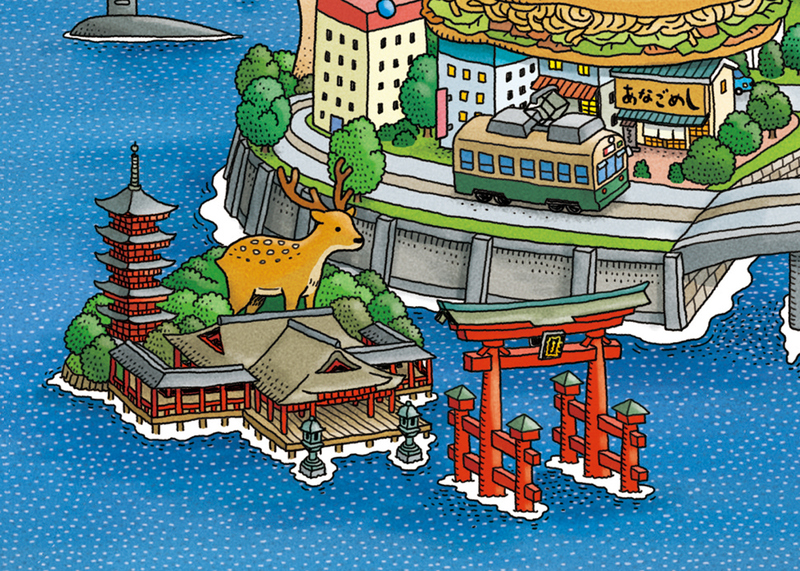 Cover : Miyajima Island, Big gate, Street car, etc. 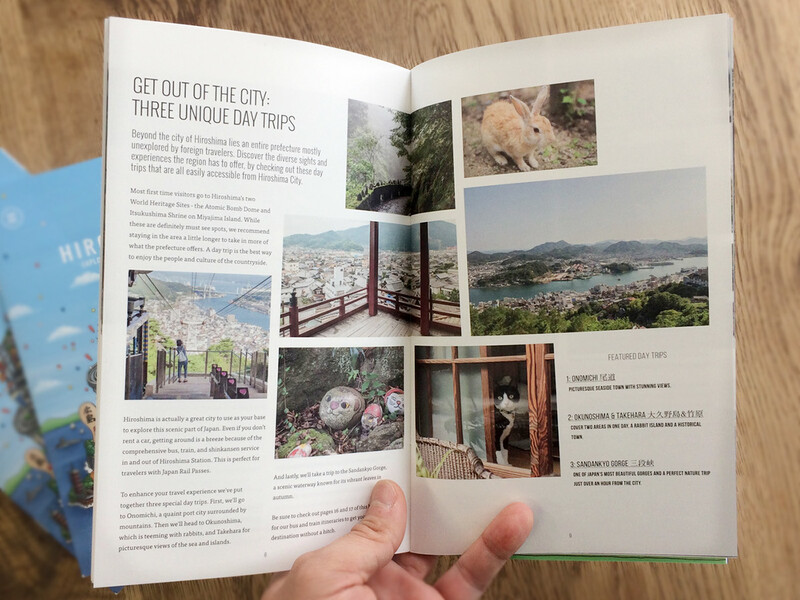 HIROSHIMA - EXPLORE BEYOND THE CITY - NAVITIME Japan NAVITIME x HIROSHIMA English guidebook for foreign tourists. Distribute start in Tokyo. 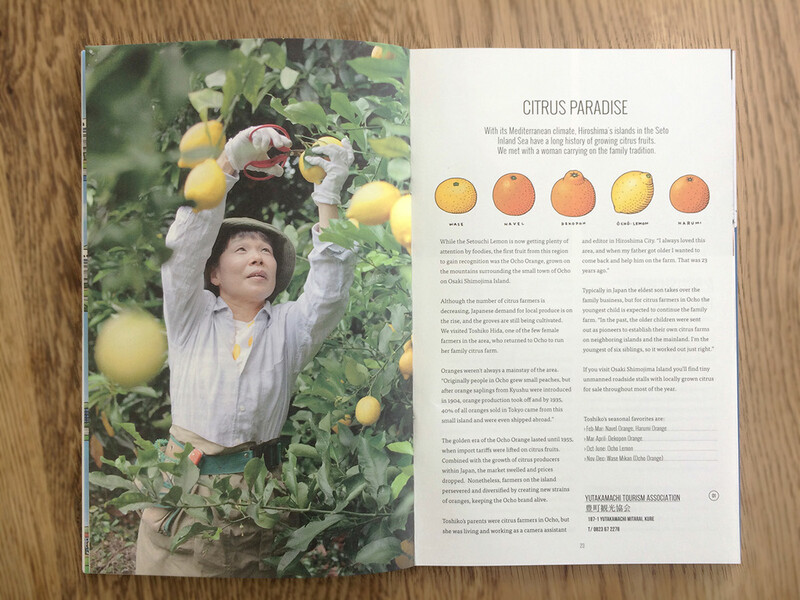 We did cover illustration and inside. 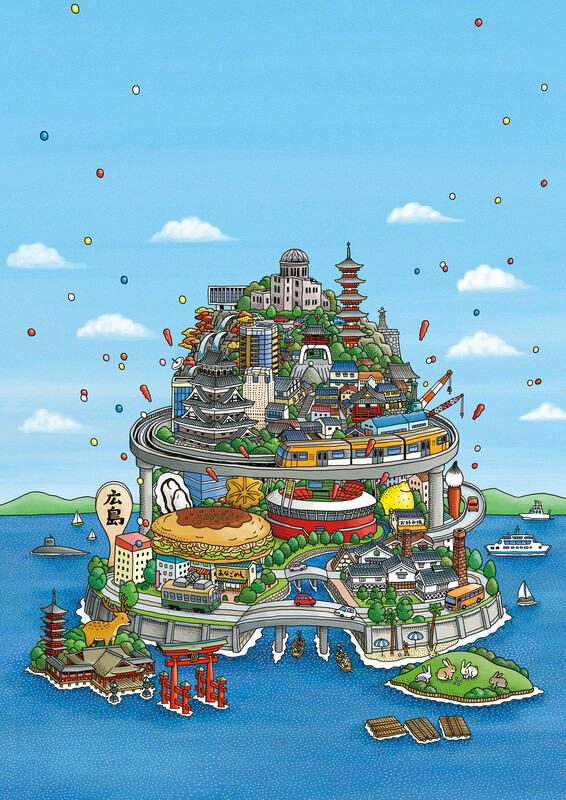 Digital Version PDF http://navitimejapan.com/magazine/hiroshima-magazine.pdf CONCEPT : WHY "ISLAND" ? Because... We imaged a miniature garden. 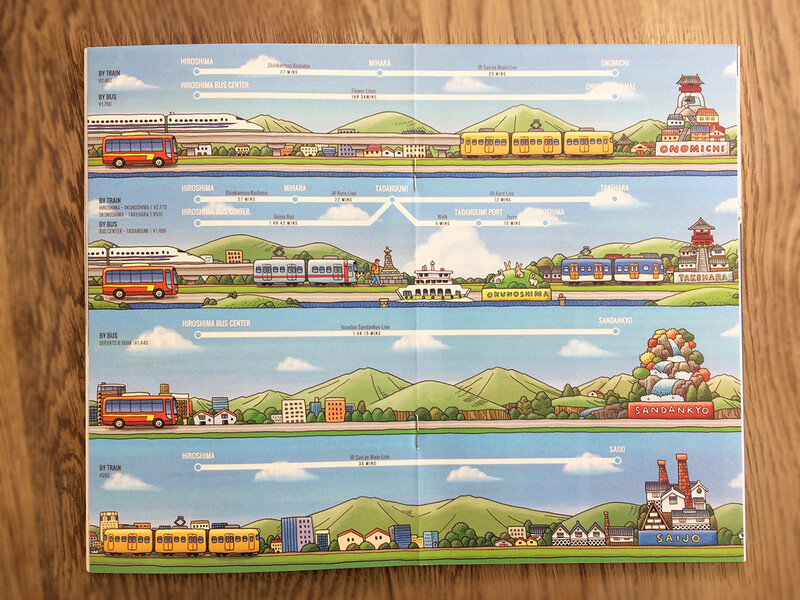 Like a "Tin-Litho Wind Up, Toy Train". 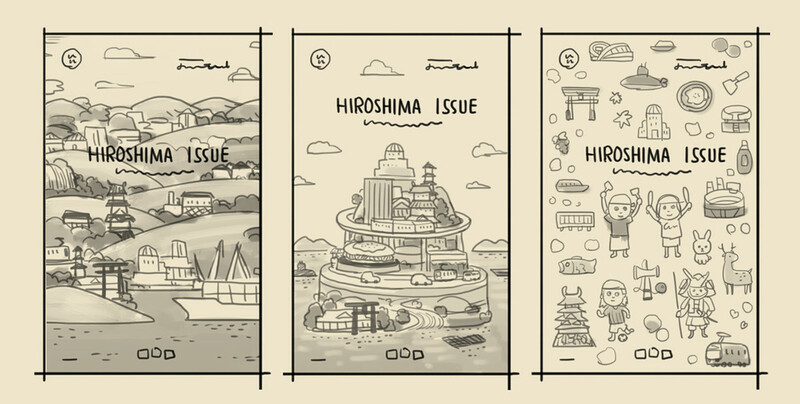 And, HIROSHIMA means HIRO = Wide , SHIMA = Island. So We made a island Include All features of the Prefecture.